Ciara has just announced that her new album “Jackie” will be released May 4, 2015. The R&B veteran kicked off her promo trail by visiting Live w/ Kelly & Michael to perform her latest hit “I Bet”. 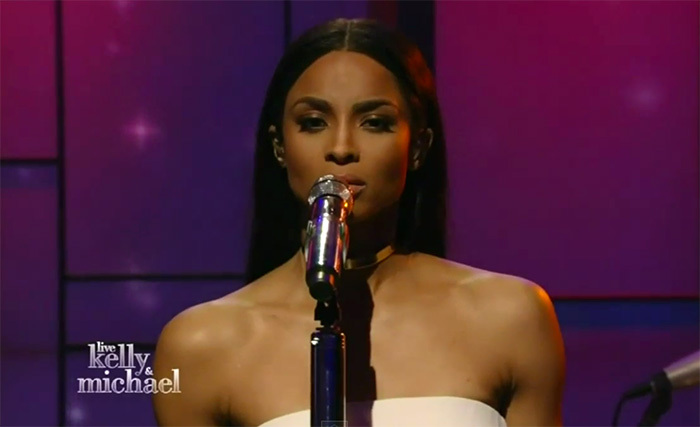 Ciara will embark on her “Jackie” tour May 3, 2015.. you can watch her belt out the song live below..